Britain's Prince Harry is allegedly ready to walk down the aisle with his girlfriend Cressida Bonas. Britain's Prince Harry is reportedly set to marry Cressida Bonas. The handsome royal is smitten with the 25-year-old socialite and rumours are circulating he is ready to walk down the aisle with his girlfriend of over a year. A source told America's OK! Magazine: "First he needs to go through certain royal protocols, such as asking his grandmother's permission. "Palace sources say there's not been a formal request made to her majesty yet, but the fact we're hearing about it means it's likely he's already popped the question and they're waiting until all the boxes are ticked before formally announcing it." 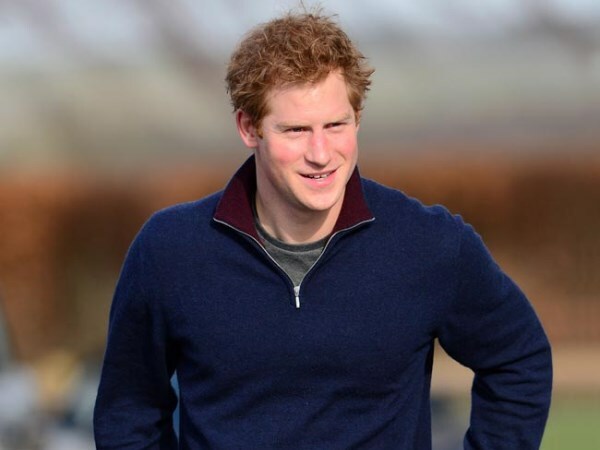 Getting permission from Queen Elizabeth shouldn't be a problem since the 87-year-old monarch reportedly thinks Cressida, a member of the aristocratic Curzon family, is a good match for Harry. The insider added: "It's no secret the queen would dearly love to see her roguish grandson settle down, and she thinks Cressy is his ideal match. She likes that she comes from a good family, plus she has a twinkle in her eye that reminds [the queen] of her sister, the late Princess Margaret." However, should Harry take the plunge, his wedding won't be as lavish as his older brother Prince William's nuptials with Duchess Catherine at Westminster Abbey.